Traditional Philippine food with a modern twist. I have plenty! If I have to choose 1 it would be Kare-Kare, it's the ultimate Filipino dish. It's Oxtail Peanut Stew with annatto oil, green beans, aubergine, mushrooms topped with Alamang or fermented shrimp paste and of course eaten with hot white rice. My 3 ingredients are garlic, vinegar and soy sauce. They are the basic and the backbone ingredients to Filipino cooking without them it will be tough cooking good Filipino food. 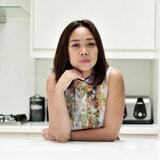 I'm a private chef because I would like more people to know about Philippine Cuisine in London. Being a private chef means I can cook and serve the food as well interacting with my clients. I can tell them all about the Filipino Food! If you believe this content violates or infringes your rights, Mae Williams may not know. You could solve this problem by contacting him.